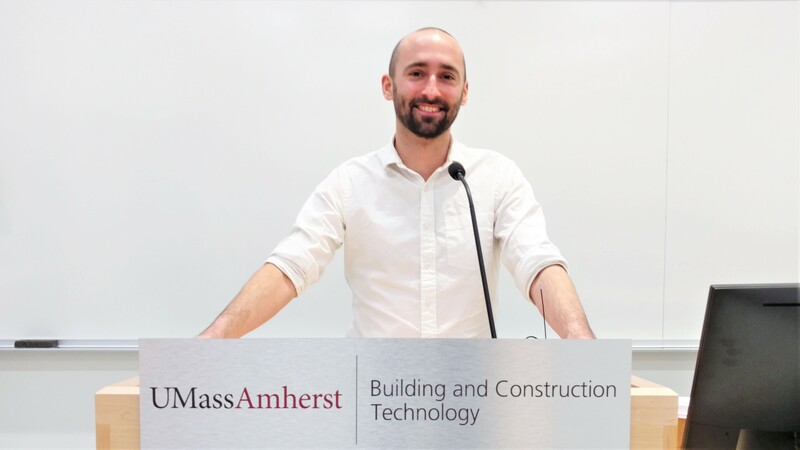 Peter Levy (MS, BEMP, LEED AP, CPHC), who is now co-owner of The Green Engineer Inc., a building energy consulting firm, is an alumnus of BCT’s undergrad major as well as our Master’s program. He spoke in his presentation about the value of building energy and daylight modeling and highlighted where those fit best into the building planning process. An overview of the role that energy modeling plays in the design of buildings; including discussions about how energy models are used to inform design, pursue LEED (and other) certifications, procure utility incentives, and demonstrate code compliance. Additionally, how daylight modeling is used to optimize daylight opportunities, mitigate glare problems, and pursue LEED certification.